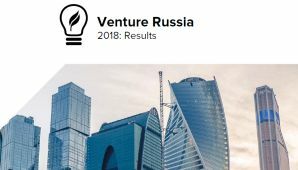 Extensive and broad experience in Board practices, Mining, Oil & Gas, Debt Collection, Venture Capital, and Insurance sectors both in Russia and internationally. Executive, and Non-Executive management in both Russian and multinational companies. Has necessary long term residence and work permissions for Russia. 3/2001 – 2012 Member of the Supervisory Board of the Independent Directors Association of Russia - the principal governance organization in Russia, associated with the IFC (World Bank) in Russia, PWC, E&Y, RTS, MICEX and other professional entities. Advising on best practices for corporate governance in Russia. Advising on social responsibility,corruption, risk management, change management, supply chain and logistics. - Chairman of the Ethics & Membership commission (continues through 2013). 4/2011 – 8/2011 OOO “Etap” – Interim CEO. A contracted five month role heading this Russian debt collections company whilst assets reallocated among principal shareholders (PPF, Home Credit Bank & Generali Insurance) and outside bidders. Took charge of tender initiation, partial liquidation, transfer of asset ownership, management restructuring, and the termination/reassignment of all Russian staff. This was achieved within timeframe allocated, within budget. 10/2009 – 3/2011 Petropavlovsk PLC, Advisor to the Chairman and Board of Directors. Third largest Gold producer in Russia, employing 11,000 with assets primarily in the Amur, Yamal-Nenets and Magadan regions of the RF. Purpose was management audits & to review and advise on operations, management and implementation of improved operational efficiencies in the open pit mining, processing and administrative areas of the group. Advised and participated in investor road-shows/Investor relations. 10/2007 – 4/2011 OOO RUSDOLGNADZOR, Moscow, Member of the Board of Directors. Nominated to the Board to advise, manage and develop best internationally accepted practices for this leading Russian consumer & commercial debt collections company with debt portfolio of over $500 million. Initiated debt servicing response for clients via mobile communications and internet. Effectively negotiated and achieved positive resolution with both private sector and governmental decision makers. 01/01/2009 – 10/2009 - Special Consultant, Lynx Oil & Gas Consulting LLP Special advisory services to this upstream Oil & Gas consultancy. Consulting on projects,with regard to operational and processing management and their auditing. 7/2007 – 12/2008 - Managing Director [Interim] (Russia) Lynx Oil & Gas, (Oil & Gas consultancy and project development business in Russia). Provider of upstream technical consulting for TNK-BP, Rosneft, Lukoil, Gazprom-Neft, etc. Was temporarily contracted to assume the role of Managing Director who was absented due to health & recovery. - Management and sales of Life, Health, P/C & Asset Management as “holistic” diversified wealth management product crafted to suit specific client needs. - Continued advisory on risks to Russian oil & gas interests. - Provided advisory on data & supply-chain risks and recommended actions. - Strong revenues derived from contractors all risk, commercial and industrial property insurance as well as D&O. - Holistic wealth management for broad market deemed premature for the Russian retail market, the firm ceased its activity and was reabsorbed within Alliaz/Rosno, later becoming 100% Allianz in 2007. 6/2002 – 9/2003 President & Deputy Chairman of the Board, “Progress-Garant Insurance Company”, Moscow, R.F. - a member company of Group Menatep/Yukos. - Asked by Platon Lebedev to raise business standards, clarify & monitor functions of the Board or Directors, establish business transparency to internationally accepted norms, eliminate corrupt practices, and break into the “open market”. - Attained fully IAS compliant audits completed IAS compliant reporting systems as of January 2003. - Improved transparency and effectiveness of the company in anti-corruption, cash-flow controls and business ethics. - In assessing YUKOS/Menatep risks, intimate knowledge of processes and movement of oil/oil products. - In depth supply-chain review by Paul led to $28m cost savings for shareholders in 2nd FQ 2003. - Upgraded and broadened contractor risk programs and property development cover. - By January 2003, Progress-Garant, become a major player in the “non-captive” Russian General Insurance business, General Health Insurance, Pensions, Leasing and Life Insurance businesses. - Successfully introduced a professional “sales culture” via enhanced training and sales skills development, resulting in over 138% growth 1st financial year. - Sales personnel from 320 to 700 meeting KPI’s, total employed 760. - Strong development of retail sales outlets as well as beginning internet direct sales (B2C). - Resigned upon incarceration of P. Lebedev & M. Khodorkovsky. 11/1998 – 6/2002 Director, AIG (Russia) Insurance Company, Moscow, R.F. - Instilled a hitherto unknown in Russia “sales culture” and customer centric standards to define and educate professional agents & brokers. - From repeating loss profiles in financial years 1995 – 1998, managed +120% increases in production and profitability in FY 1999 with 65% less staff at 70% less overhead costs within the first 12 months. - FY’s ending November 2000 and 2001 each showed better than +210% sales increases every year with qualitatively higher distribution point productivity (+72%). - Territorial expansion into St. Petersburg, inclusive of establishing infrastructure, personnel development, training, product distribution and operations. 1991 - 09/1998 President, Goncharoff, Inc. - Tecnomatix Medical NV., New York/Based Moscow/Antwerp. Medical manufacturing/marketing/distribution, employing 350. Microwave and laser medical equipment manufacturing. Handled all issues with Ministry of Health of Russia and over 54 client hospitals in clinical trials, certification, licensing, sales, distribution, training & warrantied servicing of the PRIMUS PTM (Urology) and similar systems worldwide and in Russia. Strong partnership with Mitsui & Company who represented the system for Japan, and financed homologation of the technology there. Executive Vice President, member of the Board of Directors, Technology transfer licensing, Investments in high technologies; medicine and agriculture in Russia. Took the lead, moving “PRIMUS” microwave hyperthermia medical technology forward to commercialization via Tecnomatix Medical NV. 1983 – 1986 Platinum Group Metals International, Inc., Based in New York, Moscow, Johannesburg, Tokyo. President, PGM’s mining, refining, trading and physical supply to major automotive manufacturers worldwide for catalytic converter use. Global market maker for Pt & Pd options and EFP’s. Exclusive supplier to Mitsubishi Motors, Japan, and to Hyundai, Korea. 1981 - 1983 Precious Metals, Falconbridge Nickel Mining International, Ltd., based Bermuda, Moscow, Johannesburg. Executive Vice President, PGM’s mining, refining and trading. Major global market maker for Pt and Pd. Exclusive sales of Falconbridge Nickel Mines Canada, and Western Platinum Mines (RSA) PGM’s. 1980 – 1981 Senior PGM's Trader, Mocatta Corporation, Based New York, Moscow, Johannesburg. 1978 – 1980 Manager, “Special Mining Projects”, Leo Raphaely & Sons (Pty) Ltd. Onsite management role for majority stakeholder for greenfield start-up of the Chroombroone Mine, Rustenburg RSA owned by Raphaely’s and Ayrton. An underground mine producing Transvaal lumpy chromite, and trace quantities of Platinum metals occurring in area of the Merensky Reef and UG2. Present and participatory from groundbreaking to shipped ore.
1975 - 1978 Ayrton Metal & Ore Corporation, New York, Moscow, Johannesburg. Trainee, then Manager, then General Manager of this Platinum group metals mining, refining and trading group. Initiated first Soviet supply contracts for PGM’s to the US in 1975. 1. ALTIMA ASSET MANAGEMENT – TERA CAPITAL FUND 05/12 – Present. Advisor to the Chairman, responsible for developing investor interest, middle east and central asia. 2. 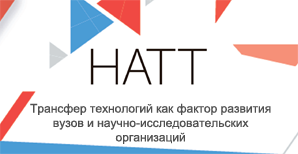 BANK24.RU., Yekaterinburg 06/06 – 05/09. Non-executive director. Purpose to advise on expansion, corporate governance as well as change management, data security & risk management, marketing, sales, collections & bancassurance for this Urals based banking group. Development of their in-house B2C & B2B Insurance company, internet sales and B2B2C relationship with major Life Insurance provider. Purchased by Probusinessbank 05/09. 3. ZAO EXTRA-M MEDIA (PromSvyazCapital), Moscow 01/07 – 06/08. Non-executive director. Advise and assist in establishing best practices in governance, management and positioning for further expansion. 4. INPRINT, INC., Moscow. 1999 – 04/03. Non-executive director as President, representing 34% minority stakeholder of ALMAZ-PRESS the largest printers of high quality glossy magazines in Russia. Sold to VTB 04/03 for $40 million..
5. OAO “KORD”, Yaroslavl 03/06 – 12/08. Non-executive director. Advised on corporate governance to this technical textiles holding company. Implemented new, lowered risk supply-chain methods developed over time in Russia to reduce overruns and cost balloons. Advising on M&A of similar facilities into a single holding. 6. THE RUSSIA PARTNERSHIP / PRINCE OF WALES IBLF, Moscow 10/03 –09/04 Start-up & organize the Russia Partnership NGO and hiring professional NGO managers. Purpose was to develop and present programs in the areas of best board practices, corporate governance, corporate citizenship, transparency, corruption management, change management, supply chain management, Health, Safety and ethics. Initial founding members are: YUKOS, TNK/BP, Cisco, Shell, Inteross, BMW, Ford, and others. 7. 1991 – 2002 Advisory services to the Minister of Health of Russia on commercial relations with foreign entities. 8. *ACADEMY OF TECHNOLOGICAL SCIENCES OF THE RUSSIAN FEDERATION. Elected member of the Presidium, being the first non-Russian to hold such a post from 1988 - 1995. Dealt with issues concerning technology transfer, and the structuring of limited partnerships for R&D investments. B. NEW YORK INSTITUTE OF FINANCE: CFTC course studies. D. EMERSON COLLEGE, Boston, MA., Business & Industrial Communications. F. ST. SERGIUS INSTITUTE FOR RUSSIAN STUDIES, New York City . G. The Anglo-American School, Hong Kong . H. The Dalton School, New York City . A. Authored the first Russian-language textbook: Oil, Energy and Precious Metals Futures trading, hedging and derivatives for primary producers/manufacturers (1989) in cooperation with the Board of Governors, New York Mercantile Exchange (NYMEX) for several Soviet V/O’s including Sojuznefteexport, Almazjuvelirexport & Vneshtorgbank. B. Co-authored definitive overview of Gold mining on the Kolyma:1932 – 1956 together with Chief Geologist for Dalstroi USSR Prof. Iliychev. (1991). C. U.S.-U.S.S.R. Trade & Economic Council member from 1977 - 1986. D. Member of the American Chamber of Commerce in Russia, current. F. Member of the Russo-British Chamber of Commerce, current. G. Member US-Russia Business Council, current.